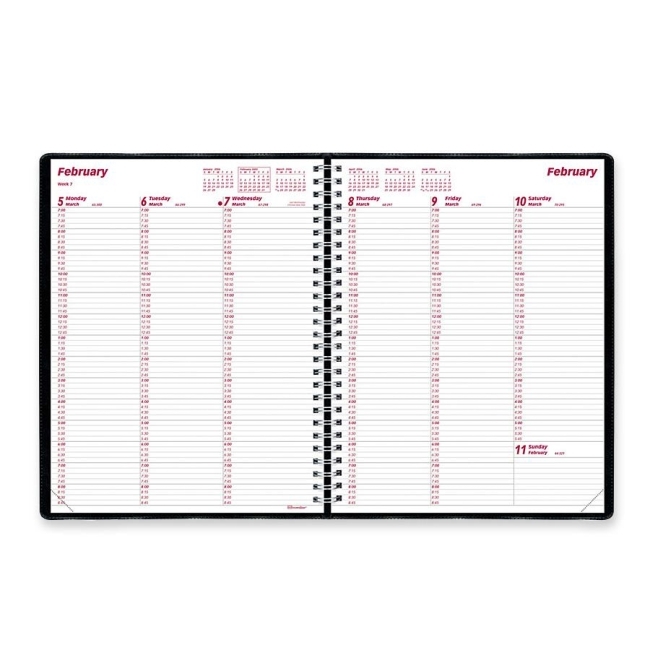 Brownline CB950 Weekly Appointment Book Black Cover 8.50" x 11"
Weekly planner offers 12 months of planning from January to December. Two-page-per-week spreads feature lined spaces for each day running vertically down the page, and past, current and four future months reference across the top. Weekday appointment schedule runs from 7 AM to 8:45 PM in 15-minute intervals. The Saturday appointment schedule runs from 7 AM to 5:45 PM in 15-minute intervals. Sunday has ruled, untimed spaces for miscellaneous events and reminders. 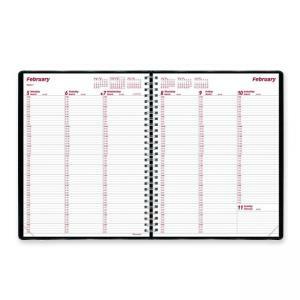 Planner has a telephone/address section, twin-wire binding and soft cover. English.